Get Cash For Your Unused or Old Oxygen Concentrator. Receive an Buyback Offer. Accept the Offer. Get paid. It’s that simple. Here at the Oxygen Concentrator Store by American Medical, our passion is to ensure our customers have the latest, greatest, and most effective oxygen solutions available to fit their needs and lifestyle! We understand, that with the advancements in technology a lot of units are becoming outdated and may no longer be needed. That’s why we offer a specialized Buyback and Trade-In Program to make things easier! Our goal is to provide those who no longer need their functioning, odor-free units a safe and easy program to sell their equipment. Our program is designed to take the stress and inconvenience out of an otherwise complicated and often difficult process. Strict Quality Assurance guidelines lets you breath easy and ensures that each of the pre-owned concentrators accepted into our program are viable, having been given a prescription prior to distribution or sale, and has been tested, refurbished, and deemed safe and reliable for the next user. Due to our fluctuating inventory, we are unable to make an offer on every concentrator presented to us. However, we are committed to reviewing the details of your equipment and are happy to respond to any inquiry you may have on the liquidation of your machine. Interested in getting started? 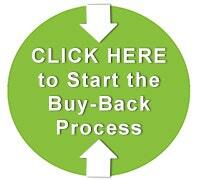 Give us a call at 1-855-838-0923 or click here to start your Buy-Back process! Complete the online form – this information allows us to determine eligibility of your equipment and put forward an offer if interested. Print and sign the offer letter and package it alongside your equipment. Utilize our pre-paid shipping label to get this equipment to our facility for Quality Assurance Inspection. Receive payment in the mail – Checks are sent via USPS once the equipment is processed and accepted by our Quality Assurance Technicians.